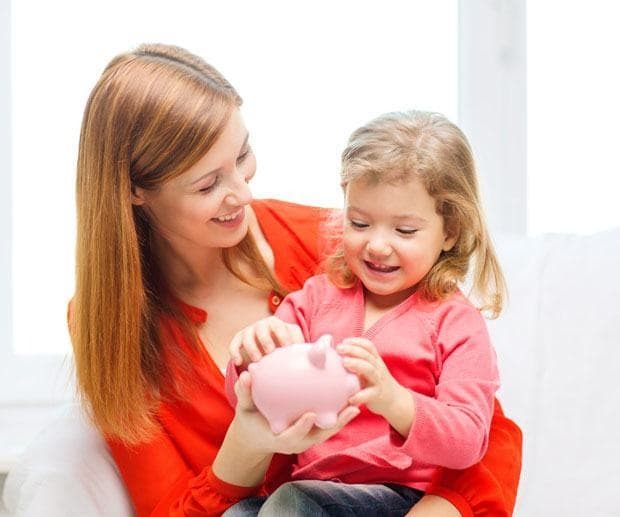 Finding it impossible to scrape together savings with a baby or young kids? If you're falling behind with a savings goal, or want to create a better buffer, it's time to reconsider your spending - and saving - habits and try some smart alternatives. Juggling a baby or young kids plus relationships, work commitments and your wellbeing leaves many of us short of time and sacrificing smart spending for convenience. Cue reaching for the takeaway menu or sticking with what you know instead of shopping around for a better deal. These ideas will help you save cash, but won't leave your family feeling the pinch. Entertain the kids for free. Check the weekend paper or the events section of your state's tourism website for free festivals, exhibits and attractions. You don't need to fork out for tickets to have fun. Look into your savings account - especially if you've had the same one since you were a kid yourself. Sure, it's handy to know the account number by heart, but if you're honest, you probably don't know how much you're losing in fees or missing out on in interest. Banks are more competitive than ever, and a couple of minutes searching our handy comparison tables could save you hundreds of dollars a year. Start shopping at a farmers' market - buy direct from the grower and you'll get cheaper, fresher produce than your supermarket haul. Bundle services. You and your partner can get great discounts from combining all your insurance cover, or mobiles and internet, with the one provider. Cut down on cleaning products. Do you buy a different spray for each room of the house? Switch to a microfibre cloth you can use all around the house - it only needs a dab of water for the same results as heavy chemicals.